Persons with dementia often suffer from behavioral symptoms such as agitation and aggression. For the caregiver, these symptoms can be very distressing. Consider the case of a daughter trying to take care of her mother. Daughter is doing her best, and after a long day of work, comes home to take care of her Mom, and help with her activities of daily living. While trying to help her mother bathe, Mom gets angry, swings her arm toward her daughter, and yells, "why do you always try to hurt me?" The daughter loves her Mom, but stuff like this is often the breaking point that makes transfer to a nursing home necessary. And it is not like Mom's agitation will be much better in the nursing home. Often, the nursing home will treat Mom with an antipsychotic drug. The drug will be marginally effective at best at improving the agitation, and will also increase the risk for stroke, heart attack, and death. Well there is a better way. A MUST READ article recently published in the Journal of the American Geriatrics Society describes a pragmatic drug-free approach towards understanding and managing dementia behaviors. The approach is grounded a skilled and careful analysis of the behavior. The approach goes by the acronym DICE, and considers patient, caregiver, and environmental perspectives. Describe the Behavior: In our bathing example, a careful description would reveal that Mom gets verbally and physically aggressive at bath time. Mom seems uncomfortable, and says "it hurts." The daughter wonders if Mom is doing this on purpose. She thinks it is important that she give Mom a bath every day. Create a Management Plan: To continue our example, Mom might be prescribed acetaminophen an hour before bathing. The daughter would learn that aggressive behaviors in dementia are not intentional. She could be taught to respond in a calm voice, learn how gentle touches might reassure her mother, and avoid sudden movements. A new normal routine could be established that may allow for bathing several times a week, and explore possibilities such as sponge baths. Evaluate: After these steps are tried, one can work with the daughter to see which steps are working, and make refinements as needed. This is the kind of practical stuff that is not taught in medical school or residency. Also, these are the types of high caring, time consuming interventions that may be hard to implement in most office practices. Kind of a shame that there is much more profit in doing scans and procedures on dementia patients than on actually doing interventions such as DICE that will really help the patient and caregiver. But a clinician that learns the DICE approach will gain a lot of satisfaction from making a big difference for their patients and those who care for them. Our patients and families depend on us for techniques and approaches, so thank you for sharing this helpful and easy acronym, Ken. Good article. I've seen at least 2 patients with supposed end-stage dementia walk into a hospice house, eat dinner, then become agitated. They were presumed to have delirium, given ativan and haldol, and both were dead within two weeks. Thanks for the wonderful post on our approach Ken. In reply to one of the commenters, the ABC model is definitely incorporated into the DICE approach! Our goal was to integrate the best of nonpharmacologic and pharmacologic treatments, and guide the provider/caregiver through a tailored-decision making approach. The article in JAGS provides a lot more detail. 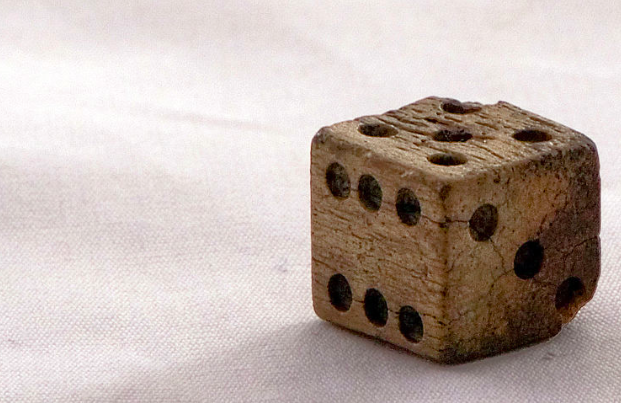 We are also working to incorporate DICE into an "app" as part of a grant from NIH. I am happy to see the interest in behaviors as they are truly the "elephant in the room" in dementia care. Thank you for taking the time to write this wonderful article. I am currently a RN in a Skilled Nursing Facility that provides care to many individuals that could have fit the example you provided quite easily. Would you recommend having caregiver’s journal their experiences with the process to allow for patterns to be recognized (This is for a school assignment, I am relatively sure that anybody would support more tracking and documentation if the caregiver and the family was capable; I just have to post a question)? I selected this blog and article out of an interest for the geriatric care; again thank you for the wonderful article, and I look forward to adapting the tools you provided to my own practice. I worry about the difficulty in bringing all of the members of the IDT onto the same page, so that solutions that are decided upon are utilized, and the system does not fall back into providing the PRN Alprazolam every time the resident speaks loud enough to be heard.